Hey movers! This one’s for all you new home buyers or sellers who need to pack up and move quickly. 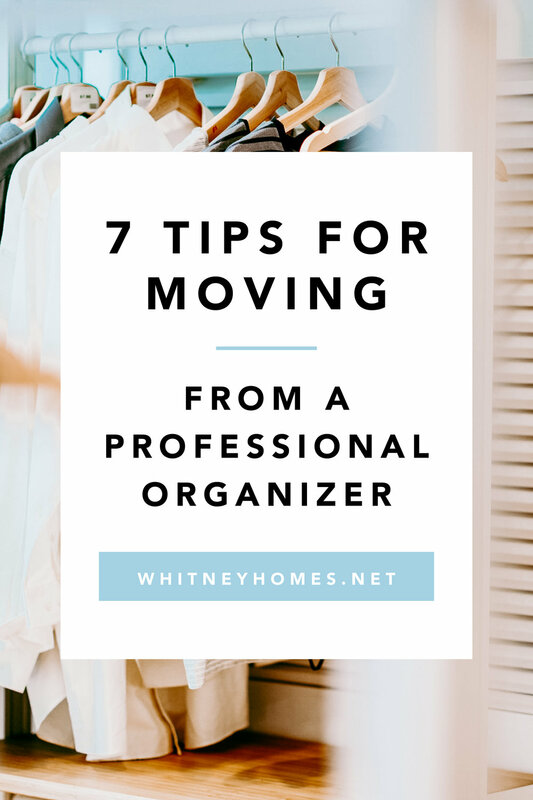 Well, lucky for you, we had the pleasure of sitting down for coffee with organizer extraordinaire Michelle Dillion of Together Organizing, and she gave us some amazing tips for organizing your move and making it as stress-free as possible. Together Organizing by Michelle is a home, move, and personal organizing company that was inspired by the dream to help everyone feel like their lives are together, even while moving! Together Organizing specializes in pre-move packing and post-move organization. Some say that preparing to move is an emotional rollercoaster. There’s the exhaustion of looking, researching, and hoping your dream home will appear. There’s the excitement when you finally find “the one.” There is the tedious process of buying, filling out paper work, and the dreaded waiting game. And then, the joy and relief you feel when you find out that you finally have a new home! Sometimes, amidst all of these emotions, we forget to focus on the hard part: the actual move itself! That is, getting all of your belongings - everything you have ever owned - from one space to another. It is a daunting task, can be completely overwhelming, and will consume all of your free time if not executed properly. Here at Together Organizing, we like to use these steps when preparing a client to move. You will land in your new home feeling completely organized and ready to enjoy your new space. The moment you start looking to move is the moment that you should start to sort through all of the spaces in your home. Start small - in 15 minute increments - tackling a kitchen drawer or a bathroom cupboard. Chances are you will love the rewards of an organized kitchen cabinet and feel motivated and ready to tackle the closet that has absorbed much more than coats over the past few years. 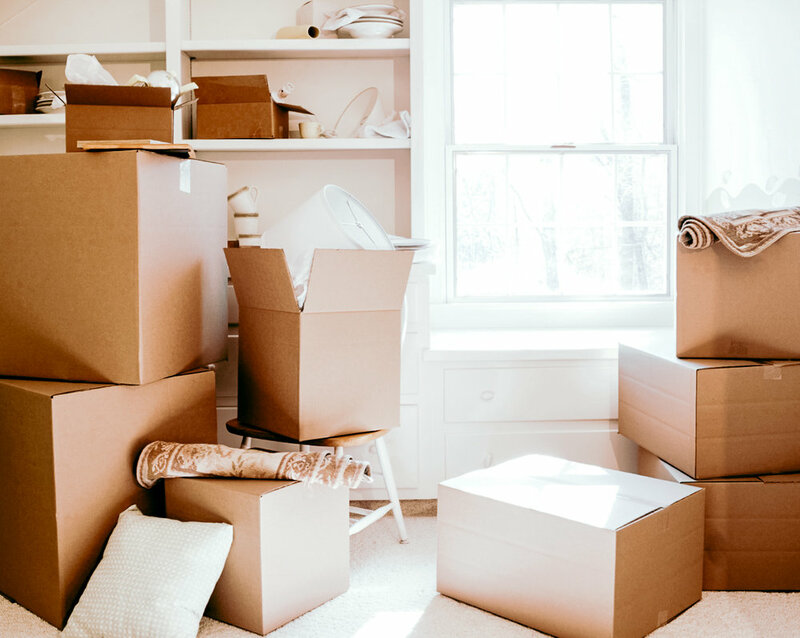 If you start early, 1-2 months before your dream move date, chances are all of your spaces will be ready to pack when the time comes. Whether you are working on your shoe collection or your office drawer, you should be creating trash, donate, and sell piles. Designate three bags or boxes ready to sort these items into. Donate to Green Drop: Green Drop takes all of the things that you can no longer use, (ie. worn out running shoes, three of the four staplers that you have collected over the years, etc) and will put them in the hands of someone who needs them. They will pick up from your door step and donate to your nonprofit of choice (they offer four options in Philadelphia). They accept everything from old computers to small furniture. Sell: Often we hold onto things just because they are “too good” to be donated. For clothes and shoes, ThredUp and Poshmark are extremely user friendly. Other household items are often easily sold on your neighborhood Facebook group or craigslist. *If selling sounds completely daunting, this is Together Organizing’s specialty. If Michelle has successfully sold a vintage European stove on craigslist for a client, anything is possible! Once all of your drawers, closets, and cupboards in your home are cleaned out, it’s time to gather the packing supplies. Boxes: Check with your neighbors, friends, and family members to see if they have any spare boxes. Chances are, everyone has had a few Amazon packages delivered in the past week! You could also reach out on apps like Nextdoor or Craigslist to ask people in your neighborhood for help. If not, Home Depot sells sturdy boxes in Small, Medium, and Large. Packing Tape and scissors: You always need more tape than you think. Newspaper, bubble wrap, foam wrap, packing paper, and Ziploc bags are essential when packing fragile items. Again, ask family members or buy from your local hardware store or Home Depot. Sharpies, labels, and colored dot stickers: Plain white labels will allow you to indicate the contents of each box in a visible location. Colored dot stickers will allow your movers to know what goes where. See below! Think about the basic items you will need on the first moving day: clothes, bedding, cleaning supplies. Pack these items in a bag or suitcase and keep them close by! If possible, move them with you in your car on moving day. The last thing you want after a day of moving is to be digging through boxes for pajamas and bedding! This will allow you to keep everything together and for you to stay focused while packing. Chances are, everything from the office at your old home is going into the office at your new home! Resist the urge to throw random things into boxes from room to room. The unpacking phase will be MUCH easier if you follow this rule, I promise. As you pack room by room, label the contents of each box using your white labels. Be as specific as possible. Then, create a map! Draw a layout, or use one from your realtor. Label the rooms with their titles. Give each room a color based on your colored dot stickers. If the kitchen is red, put a red dot sticker on each kitchen box. Make multiple copies and give the map to your movers so that they can easily place all of your boxes for you. Want a flawless move? Be standing at the door, drinking your coffee with your maps in hand when your movers arrive. If everything is ready to go, your move will be quick and painless! Michelle, thank you so much for these great tips! We definitely feel better prepared for the next time we move. If you are moving and looking to hire someone knowledgeable and experienced to make the your move smooth and painless, you can find Michelle at www.togetherbymichelle.com, @togetherbymichelle on Instagram, or reach out to her directly at michelle@togetherbymichelle.com. If you’re looking to sell your home or buy the home of your dreams give us a call! We are here to help you with every step of the way!